Let’s start with the good stuff. First, I have to commend the author for writing on this topic. That alone is a good thing since there’s not a lot of books that cover this topic of environmental issues in Laos. It’s important to note that Laos is heavily reliant on forest products (ex. plants and animals for consumptions, building, wood industry, farming, etc.). It’s one of southeast Asia’s last remaining refuges for exotic animals and plant life. New species that are discovered regularly are a testament to this. But it is not without its issues. Issues abound, such as dwindling forests and illegal logging, growth of large scale monoculture farming by investors and large corporations, rare animal species being hunted, land grab by government and corporations, and so fourth. Suffice it to say there are a lot of issues when it comes to forestry and land in Laos. This book attempts to analyze some of these issues. In particular it looks at the people’s relationship, understanding, use, and perception of the forest and the land. Among other items, she also goes into understanding the hierarchy that exists from local villages to provincial governors to national ministries and disconnects that can occur between those levels. It explains well the national policy and what actually occurs on the ground or shall we say at the village level. The book also goes into trying to explain conservation in Laos and its perceptions among Lao people as well. She says that generally speaking conservation is seen as something negative and as a Western notion that some Lao feel that it's being imposed on them. She provides insight on her personal experiences while researching for the book as well. It also discusses logging and and forest decline, among other issues. I have a few criticisms of this book though. For example on page 47 when the author writes in describing those that live near the Lao-Viet border after speaking to some of the locals, she says: "People living closest to the forests thus lack leadership, do not accumulate possessions, lack social hierarchy, and live at the boundary of social and spiritual worlds. They are as dangerous and uncivilized as the forest they live in." She bases this on what appears to be a single discussion and likely that the conversation is in reference to a particular ethnic group. Indeed there may be some truth to parts of the statement. However the impression of this statement that's given is that it's broad and typical or, in other words, that what she states applies simply to all people near the borders. This cannot be entirely true as there are a variety of groups all over. What I disagree with is the last sentence saying that they are "dangerous and uncivilized". The statement seems a bit strong and I thought it seemed a bit offensive to be quite honest. And I didn't think it was entirely accurate. More importantly, her statement just didn’t seem to flow with what she was discussing. However, what she says may very well be exactly what she observed. In my opinion, I think that her making that statement, I would have wanted some justification and would want to know exactly why or how they were so "dangerous and uncivilized". Also there were at times when it felt a bit repetitive such as the constant restating of facts or statements. I get that she was trying to remind the reader what was said previously. However when that’s overdone it feels repetitive. Additionally, I would have appreciated if she could have explained more on: the Lao Ministry of Agriculture and Forestry (MAF) and its role or lack thereof; and the work of NGOs in this area. Although they are mentioned and many of her sources are their writings or statements there's no real portion of the book devoted to what they've done whether good or bad on environmental and forestry issues. To return to a positive note, I'd like to add that Chapter 6, entitled Concealing Forest Decline was particularly revealing and insightful. Indeed, I always wondered why there were varying percentages being reported in a variety of reports and newspaper articles of the forests in Laos and how much they have declined. This chapter explains that and it does it well. Overall, I do recommend this book as there’s not a lot of books published on this topic of forestry in Laos. In fact this was one of the few that I could find. The author definitely knows a lot on this topic, does express insightful facts and covers a variety of forestry issues relevant to Laos' situation. Again, I do commend her for writing this book. 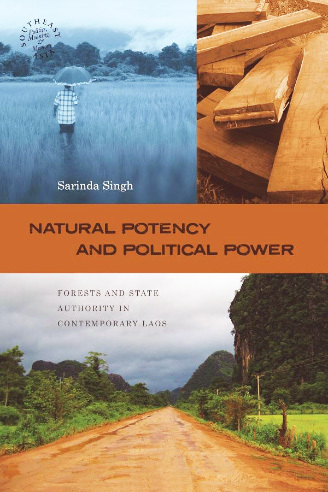 For those interested in forestry issues in Laos, this could be required reading. Note: Many iNGOs such WWF and IUCN do publish a variety of reports and occasional books on issues related to Lao forestry, farming, fauna and flora, so be sure to check them out if this is an area you’re interested in.